In STEEPS categorization, this is a Political, Economic and Social counterfactual. In 1000 CE, could the Norse Vikings have successfully colonized Newfoundland Island, bringing North America a Norse democracy, 700 years before the United States? It certainly looks to be the case. Norse democracy began in Iceland in 930 CE. The Norse Greenland settlement began in 980, and it lasted for an amazing 500 years. One thing you could say about the Norsemen, is that they were tenacious. At its high point, the Norse Greenland settlement had at least 400 low-producing farms and a community of 2,500 souls. The Norse loved islands, places where their sailing skills gave them natural advantages. 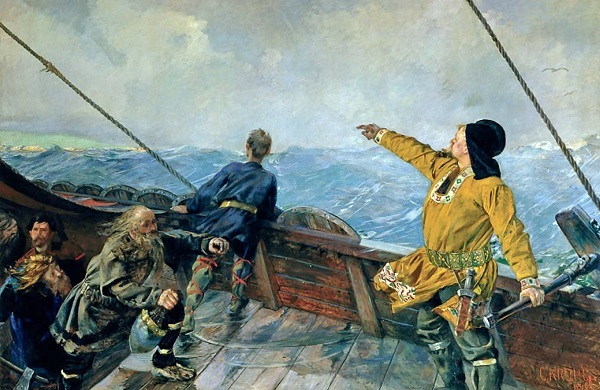 As recorded in the Icelandic Sagas, and later partly verified via archeology, Leif Erikson scouted and wintered on the northern tip of Newfoundland in 1001. His brother Thorvald sailed there again in 1004, wintering at Lief’s camp. Thorvald was killed in hostilities with the Native Americans. In 1009, Thorfinn Karlsefni took a three ship settlement from Greenland to Newfoundland with between 160 and 250 settlers. They settled at L’Anse aux Meadows, again on the northern tip of Newfoundland. L’Anse was a strategic and easy-to-find location, on the tip of a peninsula watching the Gulf of St. Lawrence separating the island from the mainland. In 2015, satellite imagery and magnetometer readings discovered a likely second Norse settlement on Newfoundland, an iron-working camp on the southwest coast at Point Rosee. Like Thorvald’s expedition, the L’Anse aux Meadows settlement started peacefully, and included trading with the local Native Americans, but it also eventually ended in violence, with a local tribe attacking them in force, and the only known baby dying in the process. We have no written or historical evidence of Norse settlements in North America after this. Yet the Norse were so close to succeeding! If at any point over those 500 years the Norse had had the foresight to run two or three settlements in parallel, each on different islands in the North America, they would have been in different Indian territories, and they very likely would have thrived there. Each Indian tribe was very different in the way it interacted with outsiders, and communication between tribes was often quite sporadic. Some tribes would have become great allies of the Norsesmen, and others enemies. Even if all the tribes had eventually attacked the outsiders, they would have attacked at different times, as their cultures, practices, beliefs, and languages were often quite different from each other. 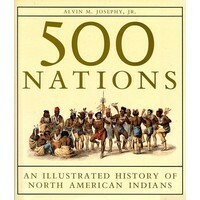 Alvin Josephy’s lovely book, 500 Nations: An Illustrated History of North American Indians (1994), and Jack Leustig’s six-part documentary, 500 Nations (2007) are an excellent introduction Native American history and how different various Indian cultures were. The Norse abilities to navigate and trade over long distances along the shoreline, to create outpost camps, and to move their settlements via ship, was an undefeatable strategic advantage. Had Norse leaders recognized this, while also recognizing the diversity and political differences in the indigenous peoples at each campsite, they could have always had a few parallel North American settlements going at any time. There were many islands available to settle south of Newfoundland, including Fogo Island, Prince Edward Island, Cape Breton Island, Martha’s Vinyard, and of course the Bahamas and the Caribbean Islands. There were likely also many less-inhabited areas of the mainland whose use could have been negotiated with local peoples. If Norse settlements and Norse democracy had flourished in North America, beginning in 1000 CE, would the Norse have treated the indigenous peoples better than we did in the USA, Canada, and Australia, giving them space for their own culture rather than forcing them into ours? If you’ve ever met the Finnish Sami peoples, you can imagine a very different past and present for Native Americans than American Indian boarding schools, the reservation system, the trail of tears and Indian gaming casinos that emerged in our own shameful treatment of indigenous Americans. We also would have had a complex technological democracy on the vast, fertile, and geographically isolated North American continent 700 years earlier than we did. What a different and better world we might have had! Again, foresight matters!